While speaking at Yale University, Dame Cicely Mary Saunders introduced the term hospice to describe dedicated care for dying patients in 1963. The word hospice originated in medieval times to designate a house, convent or monastery that provides refuge for travelers. Florence Wald, Dean of the Yale School of Nursing, invited Dame Saunders to become a visiting faculty in 1965. 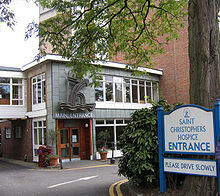 Dame Saunders later returned to London where she started the first modern hospice, St Christopher’s Hospice, in London, England, in 1967. In 1974, Florence Wald helped found the first U.S. hospice, the Connecticut Hospice in Branford, CT which is still in operation today (NHPCO, 2016). In the late 1970s the U.S. government began to view hospice care as a humane care option for the terminally ill. In 1982 Congress initiated the creation of the Medicare Hospice Benefit which became permanent in 1986. In 1993, President Clinton installed hospice as a guaranteed benefit and an accepted component of health care provisions (NHPCO, 2016). Miller, S.C., Lima, J., Gozalo, P.L. & Mor, V. (2010). The Growth of Hospice Care in U.S. Nursing Homes. JAGS. 58, 1481-88.